Communication sits at the center of our lives – personally, socially, and professionally. This eight-week course offers in- depth training in the foundations of an integrated approach to communication. Drawing upon the modern disciplines of Nonviolent Communication, trauma healing, and mindfulness meditation, the curriculum offers concrete tools to hold one’s own while still hearing others, and to engage effectively and efficiently in collaboration. Through a combination of mindfulness practices, guided reflections and interactive exercises, participants will develop a stronger sense of presence, greater access to compassion and more versatile, clearer communication. "This eight-week workshop series is appropriate for both experienced and newer students, therapists, school teachers, chaplains, and other helping professionals. 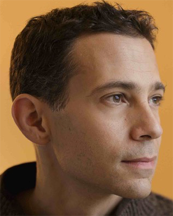 Oren is a teacher and practitioner of Buddhist meditation, Nonviolent Communication and Somatics. He has practiced Buddhist meditation in the Theravada tradition since 1997 and taught NVC since 2006. Oren holds a degree in Comparative Religion from Columbia University, is a Somatic Experiencing Practitioner for healing trauma, and a current participant in the IMS-Spirit Rock Vipassana Teacher Training Program. His work and teaching brings a strong emphasis to living the path of awakening in our daily lives. Learn more at Oren's website: www.orenjaysofer.com. Scholarships and Work-Trade available: Email Oren@baynvc.org for information.